Carnes steel (SK) and aluminum (SE) louvered face diffusers are among the most versatile ceiling diffusers on the market. They provide excellent performance in low flow VAV situation and their dump-resistant performance makes them well suited for cold air applications. 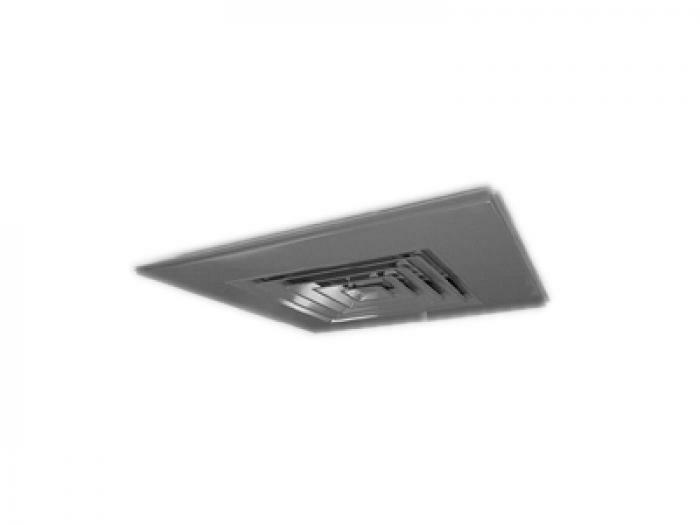 They are available in a wide range of sizes and blow patterns, fit a variety of ducts and come in frame styles to fit most ceiling systems on the market. The customer has a choice of materials, and can choose from fixed horizontal or adjustable discharge models. Excellent cold air device. Resists dumping down to very low CFM’s. Choice of steel (SK) or aluminum (SE) roll-form construction. Available with square or rectangular neck. Steel (SK) is available in neck sizes from 6” to 48” in 3-inch increments. Aluminum (SE) is available in neck sizes from 6” to 24” in 3-inch increments. 8 different mounting frames make this compatible with most ceiling systems. Available in all blow patterns (1-way, 2-way opposite, 2-way corner, 3-way & 4-way). The inner assemblies interchange in all frames of the same size. The inner assembly is spring loaded and is removed by pushing the inner assembly toward the spring end. No tools are required, making installation and maintenance easy. The standard finish is Carnes No. 11 bright white electrocoat acrylic baked enamel. Many finish options are available. Round neck adapters are available for square neck models . Foam gaskets can be mounted around the frame edge for added leak prevention. Safety chains are available for use when removing the core periodically. 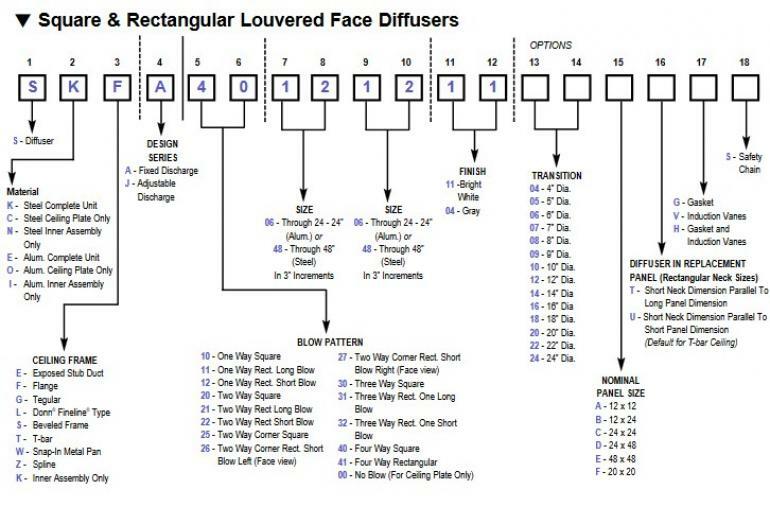 Models are available with the horizontal-to-vertical pattern adjustment option (Series J). Economical and durable. The model is made using precision manufacturing techniques. Our advanced tooling and manufacturing methods provide consistently high quality products. With Carnes’ electrocoat technology it is highly corrosion-resistant. Lightweight and impervious to salt spray and high-moisture corrosion. Available in painted finishes only. Construction is of roll-formed and stamped parts, built identical to the steel model. Used with Donn® Fineline®, Highline®, Armstrong Trimlok®, Chicago Metallic Ultraline® and other compatible narrowtee suspended ceiling grids. Aeroventic is an international solution dedicated to HVACR industry. It has been designed to create an opportunity for both producers and distributors to present their business value and products worldwide. One system allowing for global reach. Build your company value and present your competitive advantage. Share your catalogues, software selection programs and all business facts you consider important. It is a great place to present all your products at once effortlessly.Each product is equipped with an option "Add to inquiry" for customer convenience. A customer sends an inquiry directly to you. Basically speaking, aeroventic is an equivalent of offline trade fair where you present your company and products, distribute catalogues, make contacts and develop your business. What You Get with us?